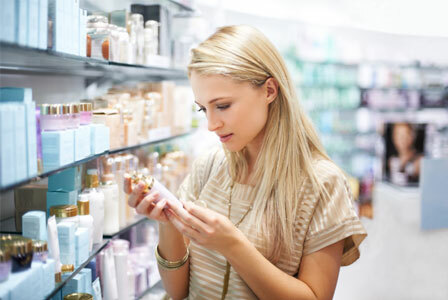 Do you ever wonder what’s actually in the products that you purchase? With all of these health articles urging us to avoid toxic ingredients such as phthalates and parabens, I tend to stick to containers that boldly state that they don’t contain those toxins. But sometimes it’s not easy to find all that information. And even if you do, it can be difficult to figure out which ingredient is unhealthy. Wouldn’t it be great to have a guide that shows how good a product really is for you? That’s where GoodGuide comes in! You can use the website or download the app. 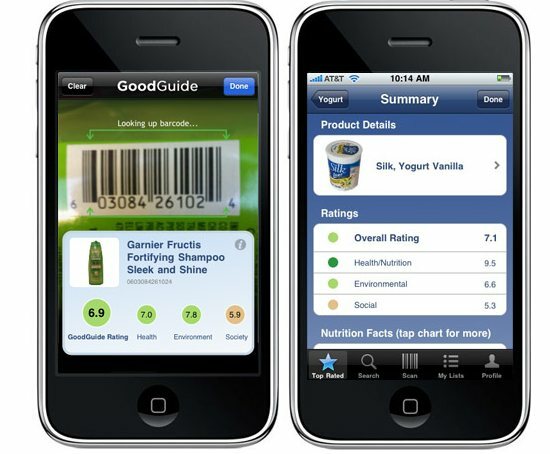 You can search for a specific product or scan its barcode. A rating system will pop up that informs you of how healthy, green, and socially responsible it is. Not only will you be provided a list of ingredients, but you get a recommendation of better product options! It’s not just for beauty products! Products range from food, personal care, apparel, and more! 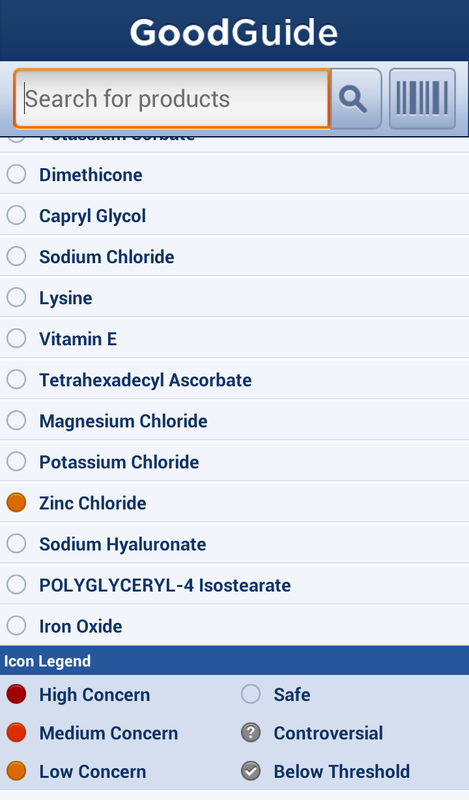 I downloaded the app onto my Android Samsung Galaxy 3. Smooth process! It did not have my JellyBelly’s via barcode, but it had them listed via search online. It had data on the environment and social aspect, but nothing on health. Don’t worry. I think I can figure out on my own that they aren’t that great for my health. 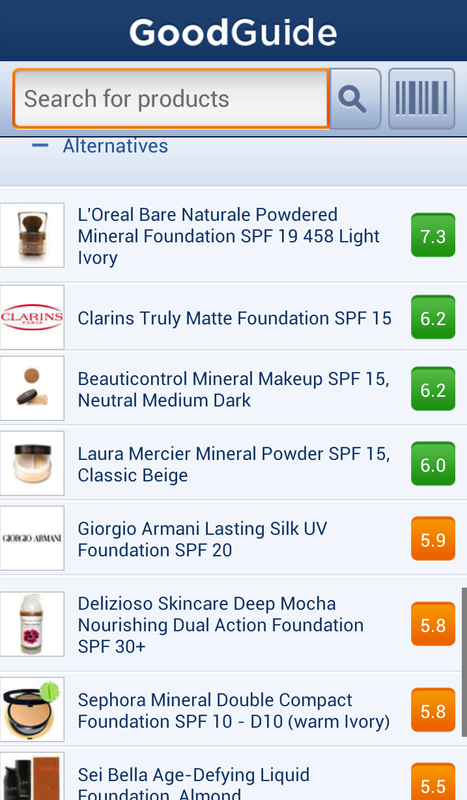 My next test was scanning the bar code for my Tarte Amazonian Clay 12-hour foundation. All the information immediately popped up on my phone. I was shocked to see how poor the ratings were for the health, environment and social aspects. With the brand taking pride in its natural ingredients, I didn’t expect to see ingredients of “medium concern” in it. I absolutely LOVE that they provide alternatives for it. Written by: Erica Cho on September 18, 2013.